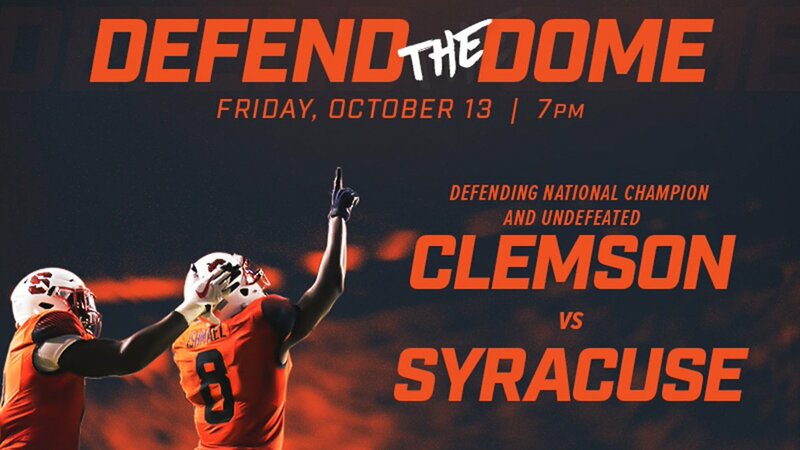 The Orange host the reigning National Champion Clemson Tigers for a primetime matchup Friday night at the Carrier Dome. Kickoff is set for 7:00 p.m. with the game airing on ESPN. The team is looking forward to packing the Dome on Family Weekend and fans can purchase tickets for the game here.